In a pioneering study, researchers at the Garvan Institute of Medical Research have discovered a new approach to fight treatment-resistant regions within pancreatic cancer – one of the world’s deadliest cancers. For the first time, they have monitored these drug-resistant regions in pancreatic tumours as they travel, spread and grow in real time – and are finding new ways to neutralise these moving targets. The findings, which were uncovered in mice, are published today in Cell Reports. Pancreatic cancer has one of the poorest survival rates of all cancers, and is predicted to be the second-leading cause of cancer deaths by 2030. The 5-year survival rate stands at less than 7.7%1, and has scarcely changed in decades. Regions of low oxygen, which move around within tumours, are a hallmark of pancreatic tumours. Importantly, these travelling pockets of low oxygen are resistant to treatment. Associate Professor Paul Timpson (Cancer Invasion & Metastasis lab head, Garvan), whose team led the study, says these nomadic regions are a major concern in the fight against pancreatic cancer. “Cancer cells are incredibly adaptable,” says A/Prof Timpson. “Depriving them of oxygen makes them more aggressive, more invasive, and resistant to radiotherapy, chemotherapy and other cancer treatments. To tackle this problem, A/Prof Timpson and his team have overcome a major technical hurdle and developed an innovative live tracking approach, allowing them to observe the drug response of these treatment-resistant compartments in pancreatic tumours. Using their new live tracking technology, they monitored individual cells within low-oxygen regions of pancreatic tumours, and observed the response to treatment. They saw that cells were resistant to three clinically relevant pancreatic cancer treatments, including the cancer inhibitor AZD2014. So how do you attack a resistant, moving target? Using a combination of the low oxygen-activated toxic drug, TH-302, and AZD2014, they precisely targeted low oxygen, drug-resistant tumour regions and observed a marked improvement in drug response and inhibition of tumour growth in pancreatic tumour-bearing mice. The results from this new study represent an exciting new opportunity for pancreatic cancer, where little progress has been made in the past 40 years. 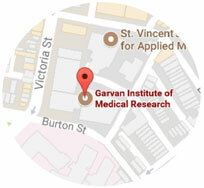 The new findings would not have been possible without new technology developed at Garvan. For A/Prof Timpson, investing in new technology is key to furthering scientific discovery. Co-corresponding author Dr Jennifer Morton, of the Beatson Institute for Cancer Research UK, is optimistic about what these results mean for patients. 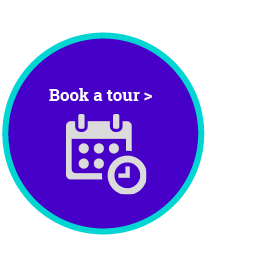 “Pancreatic cancer is a devastating disease with virtually no effective treatments - but our live imaging showed us that although these areas can move around, we can target them and hopefully reverse resistance to therapy, increasing the options for these patients. Looking ahead, James highlights the clinical relevance of this study. Beyond pancreatic cancer, these results have the potential to change the wider landscape of cancer treatment. Treatment resistance as a result of low oxygen is a fundamental problem across many cancers, and these findings are likely to have a broad impact in paving the way to more effective, targeted cancer therapies. 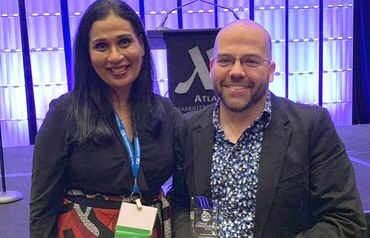 In 2015, A/Prof Timpson was awarded the Len Ainsworth Fellowship in Pancreatic Cancer Research which continues to provide significant financial support for his research. The research was also supported by NHMRC, NBCF, Australia Research Council, Cancer Research UK, Cancer Council NSW, and Tour de Cure. Hypoxia refers to areas of low oxygen, whereas normoxia refers to areas with normal oxygenation. In cancer, hypoxia is thought to be associated with insufficient vascularity, a disorganized vascular network, and an imbalance in cellular oxygen demands that leads to limited oxygen diffusion and perfusion. In the 1920s, German scientist Dr Otto Warburg discovered that cancer cells often ignored normal oxygen demands in favour of up-regulating alternative energy sources. This adaptive strategy allows tumours to grow beyond the normal oxygen demands that limit a tissue. However, this also leaves them vulnerable to new approaches using hypoxia-targeted toxic compounds that target tumours, with minimal toxicity to the normal tissue. Although you might expect to see hypoxic regions primarily in the centre of the tumour (where there may be fewer blood vessels), with fewer and fewer hypoxic regions towards the more vascularized edges of the tumour, A/Prof Timpson and his team saw regions of hypoxia transiently moving around the tumour. For the first time, they mapped the movement of hypoxia in real time over a 24h period, and observed hypoxic regions sporadically travelling around the tumour. How does the new live tracking technology work? 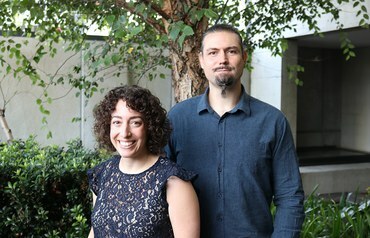 To get the most precise assessment of drug response, A/Prof Timpson and his team are combining high level imaging technology with oxygen-sensitive nanoparticles that can be read on the order of the microseconds, and whose reach extends deep into tumours to reveal oxygen content at a single cell resolution. In parallel, they are able to overlay this information on oxygen levels with nanosecond readouts of drug performance using fluorescent biosensor technology. Through live tracking of tumour oxygen content and assessing real time drug response, A/Prof Timpson’s team determined that hypoxic regions in pancreatic tumours are resistant to three clinically relevant drugs in development for pancreatic cancer, including the AstraZeneca drug AZD2014. 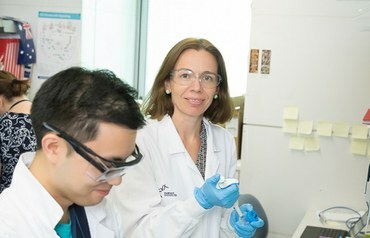 In a previous study, co-corresponding author Dr Jennifer Morton, of the Beatson Institute for Cancer Research UK, demonstrated that AZD2014, a dual mTOR inhibitor - “dual” because it blocks two cellular pathways that lead to cancer cell growth – is as effective as the current standard-of-care for pancreatic cancer, Gemcitabine. In this study, live tracking experiments showed that even AZD2014 is subject to hypoxia-induced resistance, but this resistance could be alleviated in combination with a hypoxia-activated toxic drug TH-302.